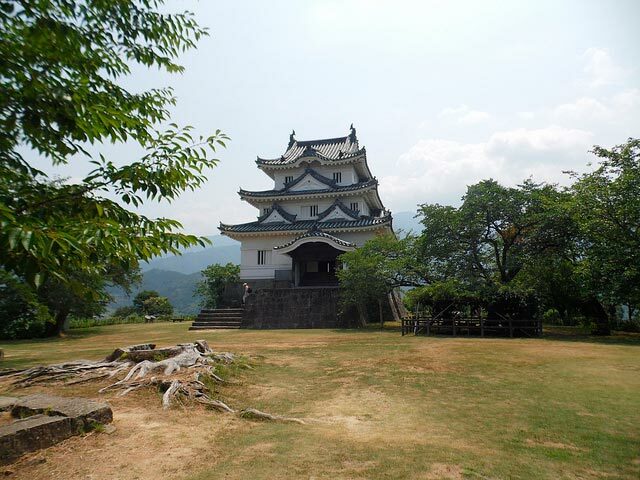 Uwajima Castle (宇和島城) is located in Ehime Prefecture, Shikoku. Today it is one of 12 original castles remaining in Japan, meaning it still has it’s original Edo period main tower. The castle began construction in 1595. 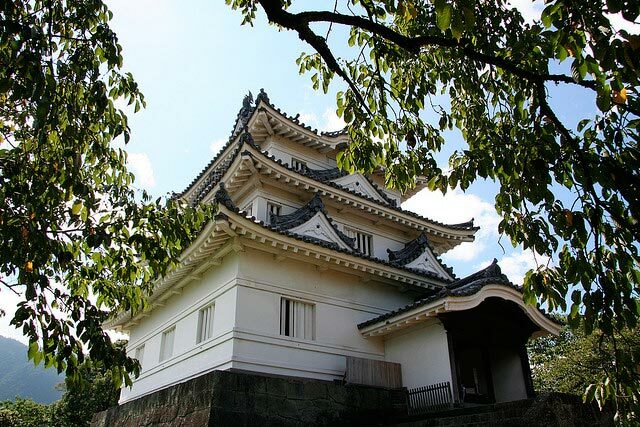 Lord Toyotomi Hideyoshi provided Todo Takatora land in Uwajima, and being the excellent castle-builder he was, he decided to construct Uwajima Castle. It took almost 6 years to complete the main tower and surrounding structures. 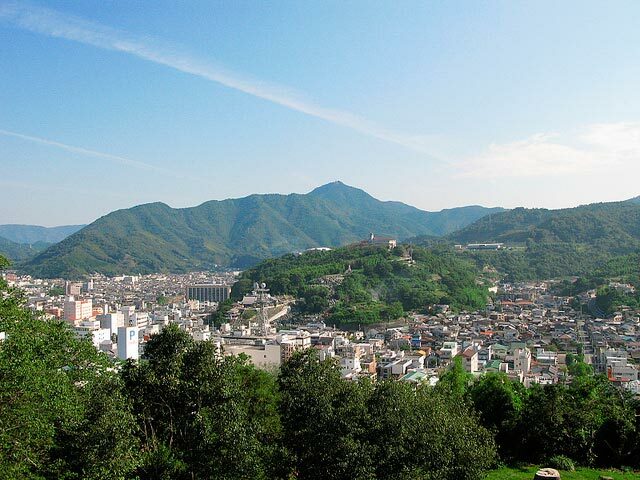 After the Battle of Sekigahara, Todo Takatora relocated to Imabari and built Imabari Castle there. He left Uwajima Castle in the hands of Tomita Nobutaka. From 1615 the castle was ruled by the Date Family. Date Munetoshi performed some repairs and expansion to the original castle buildings, adding some turrets, stone walls and gates in 1671. However, the fundamental structure as the work of the great castle builder Todo Takatora remains until today. Unlike most other castles in Japan it has somehow survived the Meiji Era including wars, fires, typhoons and earthquakes. The castle is rather small compared to many other castles, but I found that charming. The main tower is three stories, but only 15.8 meters high. Inside the castle, everything is wooden inside and it’s a bit difficult to climb the stairs. The ceiling is also very low so you need to be careful of your head! Even though they are a bit difficult, do climb up as the top floor as the views are wonderful. Even though it only has three floors, since it’s on a hilltop there are great panoramic views. You can see the mountains and Uwajima City. There are even some views of the islands in the Bungo Channel. Very close to the castle’s main tower is the Yamazato Soko (山里倉庫, Castle Hill Museum). It is a warehouse and was originally built in the third fortress as an arms storehouse in 1845. There aren’t many arm storehouses that remained, so this one is quite special. It was transferred to its current location in 1966 and is now a museum featuring items connected to the local history. It’s easy to see why Uwajima Castle was registered as an Important Cultural Property in 1934. As one of the last few original castles in Japan, it’s a great site to visit while in Japan.